Samsung has introduced a premium Chromebook at CES 2017 in Las Vegas. Although not a total surprise thanks to a retailer slip-up a few months back, the unveiling does provide new details on the matter such as the fact that we’re not looking at a single new system but rather, a pair. The Chromebook Pro and Plus are essentially one in the same, the only difference being the processor under the hood. The more expensive Pro model features an Intel Core M3 6Y30 chip clocked at 900MHz (boost up to 2.2GHz) while the Plus variant will utilize a hexa-core, ARM-based solution with two Cortex-A72 cores and four Cortex-A53 cores. Both sport a 12.3-inch touchscreen display with a resolution of 2,400 x 1,600 (3:2 aspect ratio) that’s coated in Gorilla Glass 3, 4GB of DDR3 RAM, 32GB of local flash storage, 802.11 ac (2x2) Wi-Fi, Bluetooth 4.0 and two USB Type-C ports, just to name a handful of features. Battery life on the 2.38-pound machine is rated at up to eight hours. 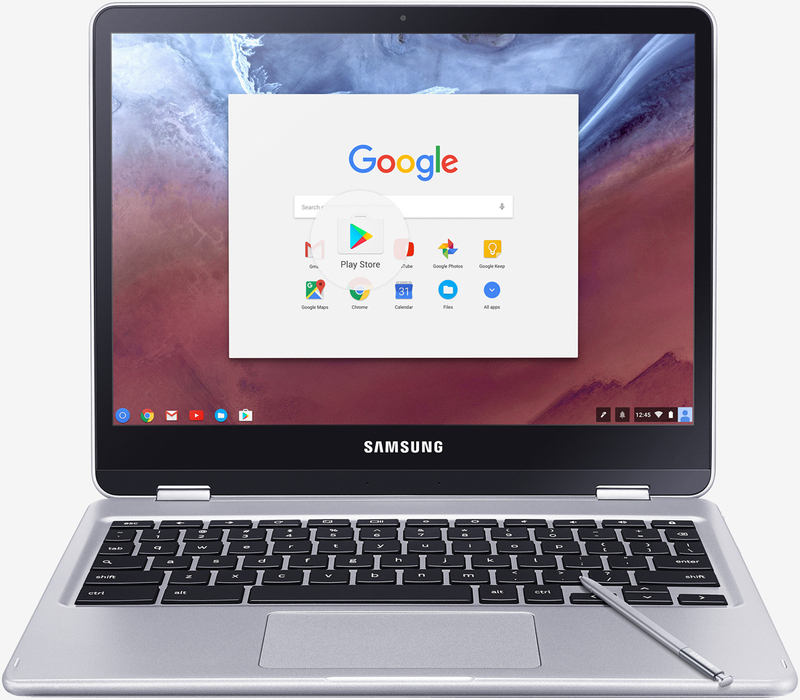 What really stands out about Samsung’s new Chromebooks, apart from the fact that they’re 2-in-1 convertible devices, is that they were designed specifically for Google Play and its sea of Android apps. There’s even a built-in pen for doodling and note-taking and might I add, the beautiful design doesn’t hurt matters either. The Samsung Chromebook Plus will start at $449 when it arrives in February with the Chromebook Pro set to ship later this spring. No word yet on how much the Intel-based portable will command although I suspect it'll be higher than the Plus.